Chelsea’s interest in Danielle Rugani has been the worst kept secret this summer, but his agent has just stated the obvious. Rugani’s agent Davide Torchia revealed in an interview with Radio Sportiva that Rugani is calm and happy in Juventus. When quizzed about Chelsea offer Torchia admitted that Chelsea were interested in the defender but Juventus were reluctant to sell the Italian international. He also clarified the assumption from the Italian media about the deals for Rugani and Higuain revealing that both negotiations were different from each other. “Rugani is calm and happy, he’s at the pre-season training camp and he’s thinking about Juventus”. The operation with Chelsea is separate from [Gonzalo] Higuain, each deal has a different cost and different dynamics,’ he concluded. Sarri is keen on the defender whose major strength is his composure and passing ability, having worked with the defender at Empoli. 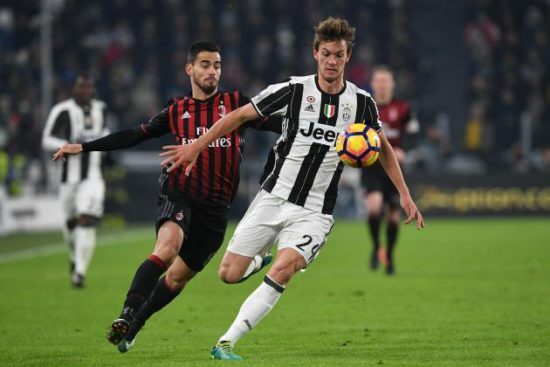 Rugani was reported to have agreed personal terms with the Blues earlier in the summer, however, no announcement has been made by both clubs. Chelsea had reportedly submitted bids in the excess of £45 million as they seek to add to the solitary signing of Jorginho this summer. Chelsea began their pre-season with a 1-0 victory of Perth Glory on Monday. Maurizio Sarri has been charged to bring free-flowing exciting football to Stamford Bridge after the mechanical styles of predecessors Jose Mourinho and Antonio Conte.